SMEs in India face many challenges, but perhaps none more formidable than the challenge of financing, both short-term and long-term. This article portrays the enormity of this challenge and outlines a possible partial remedy. Small and medium enterprises (SMEs) constitute an important segment of the economy in India and in other emerging countries. For those countries, they often serve as the ‘engines of growth’. Using data from the Micro, Small, and Medium Enterprises (MSME) Ministry of the Government of India, Shamika Ravi, Assistant Professor of Economics and Public Policy, ISB has estimated that the MSME sector accounts for 8 percent of India’s GDP, 50 percent of total manufactured exports, 45 percent of India’s total industrial employment, and 95 percent of all industrial units1. The figures underline the importance of the sector. The official definition of an SME differs for manufacturing and services sectors. Under the MSME Development Act 2006 of the Government of India, a manufacturing firm with investments in fixed assets of plant and machinery below Rs. 100 million (about US$ 2.2 million) qualifies as an SME; for firms in the services sector, the ceiling is Rs 50 million (about US$ 1.1 million) in fixed assets. SMEs in India face many challenges, but perhaps none more formidable than the challenge of financing, both short-term and long-term. In this short article, I’ll try to give the readers an idea about the enormity of this challenge and outline a possible partial remedy. My discussion is based partly on research underway at the Centre for Analytical Finance (CAF) at the ISB, and partly on the work we did for the Financial Sector Reforms committee headed by Professor Raghuram Rajan, Eric J. Gleacher Distinguished Service Professor of Finance, University of Chicago during 2007-08.
alternative sources of external financing: equity and debt raised from private sources including group companies, promoters/founders, and friends and family; trade credits, and other liabilities. Often, though not exclusively, alternative financing is based on informal, non-contractual, relationships between the supplier and user of capital. As a result, this type of financing is also called informal financing. We find that in recent years, large Indian firms (the firms above the SME threshold by the official definition) obtained about 47 percent of their total funding from internal sources, 19 percent from banks and FIs, and 5 percent from capital markets. The remaining 29 percent came from alternative sources. On an average, they got only 15 percent from internal sources, indicating that they are far less profitable, 25 percent from banks and FIs, and 10 percent from capital markets. As much as 50 percent of their total annual funding came from alternative sources. For the SMEs, the financing pattern was radically different. On an average, they got only 15 percent from internal sources, indicating that they are far less profitable, 25 percent from banks and FIs, and 10 percent from capital markets. As much as 50 percent of their total annual funding came from alternative sources. Friends and family equity accounted for a huge proportion of their alternative finance, followed by trade credit. In the same study, we also find that firm size is inversely related to dependence on alternative financing sources; the smaller the firm, the higher is the proportion of alternative financing in the total. Our findings are based on an examination of the finances of a very large sample of firms, over 12,000 in total. 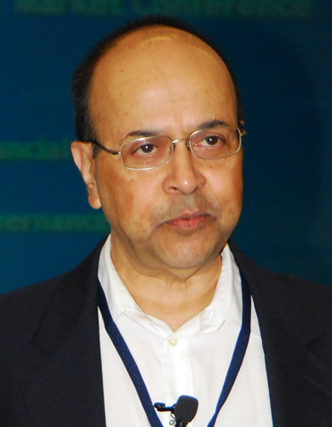 The dataset was compiled from the Prowess database of the Centre for Monitoring Indian Economy (CMIE), the most reputed purveyor of Indian corporate data. The findings paint a somber picture of the state of SME financing. Poor profitability and lack of access to formal capital markets and institutions result in heavy dependence on alternative financing channels. Typically, funding from those channels is considerably costlier than funding from formal sources. This creates a most unfortunate vicious cycle in the pattern of funding. High cost of funding results in poor profitability. Poor internal cash flow generation limits ability to service formal bank debt, and makes the firm less creditworthy from a bank’s point of view. This, in turn, leads to greater dependence on alternative channels. To supplement the information from secondary financial data, and to get first-hand opinions and viewpoints of SME owners and managers, CAF we conducted two sample surveys of Indian SMEs in 2005, one in Hyderabad and the other in Delhi. By design, the surveys included the smaller SMEs. The evidence from the survey data is equally stark. For the survey respondents in the start-up phase, the two most important financing sources were friends and family and trade credit. In the growth phase, for the firms that have been in business for five years or longer, the same two sources were again the most important. In other words, even for the SMEs that survived for five years, formal capital markets and institutions remained inaccessible. In another study that we just completed3, we find evidence that is even more sobering. There is credit rationing in alternative markets. Credit providers are reluctant to offer credit beyond a point, regardless of the credit terms. To prevent voluntary defaults, the loan size is appropriately limited below what the borrower desires and the interest rate is kept from rising to an excessively high level. While there is widely documented evidence that firms in emerging economies, especially the smaller firms, face credit constraints in formal credit markets4, ours is the first study that documents similar access problems for informal credit. Our finding that credit rationing exists in alternative credit markets has a major implication. It suggests that small firms in India, and possibly in other emerging economies, cannot rely on informal sources to come to their rescue when access to formal sources becomes difficult. They may be excluded from all capital markets at the same time. Poor profitability and lack of access to formal capital markets and institutions result in heavy dependence on alternative financing channels. Typically, funding from those channels is considerably costlier than funding from formal sources. This creates a most unfortunate vicious cycle in the pattern of funding. Is there a market-based remedy, not interest subsidies or other types of handouts that are always distortionary and usually ineffective, that can ease the financing situation for Indian SMEs? I proposed one to the Rajan Committee on financial sector reforms. It was accepted by the committee and included in its report5. As we have noted above, trade credit is a critically important source of finance for Indian SMEs. They could reduce their investment in working capital, and thus their need for funds, significantly if the receivables owed to them by large firms could be securitised. In principle, such receivables, if accepted, are essentially commercial paper with the high credit ratings of the large firms. Further, the resulting balance sheet clean – up would improve the creditworthiness of the SMEs concerned. Currently, a negotiable Bill of Exchange (BoE) issued by a buyer against goods received on credit provides a form of securitisation of trade credit. The supplier can have the BoE discounted with a financial intermediary in a private transaction. The supplier and the intermediary can also endorse the bill in favor of any other party. Currently, it is mostly banks that deal in BoEs. Typically, they keep the acceptance and discounting levels under the credit limit set up for the buyer. However, the nature of the transactions and the physical format of BoEs rule out a sizable secondary market in them. A more formal process of securitisation involves special purpose vehicles (SPVs). In this form, the individual loans or receivables are assigned to an SPV (normally a trust) which in turn issues tradable securities against the loans. As yet, corporate trade credits are not securitised. The existing RBI guidelines do not make it very clear whether revolving assets such as trade credits, working capital loans etc. can be securitised. Besides absence of clear regulatory approval, stamp duty is a major hindrance to the development of securitisation in India. This duty is payable on any instrument which seeks to transfer any rights or receivables at an ad valorem rate, which ranges from 0.1 percent to 8 percent across the states in India. The process of transfer of the receivables from the originator to the SPV involves a stamp duty, which can make securitisation commercially unviable in several states. Besides, there is the risk that stamp duty could also be levied on the issue of securitised instruments by the SPV to investors. Patil Committee on Corporate Bonds and Securitisation (2005) recommended that the Central Government should institute a process leading to a uniform and affordable stamp duty rate across all states. The recommendation has not been implemented yet.